We talked to Erwan le Breton, producer and Romain de Waubert, senior producer of Might & Magic: Clash of Heroes. What they had to say about their new DS gamae and mentioned about Heroes of Might and Magic VI can be found in the interview. PlanetDS.de: Can you introduce yourself and tell us more about the development team behind Might and Magic Clash of Heroes. What have you done before? 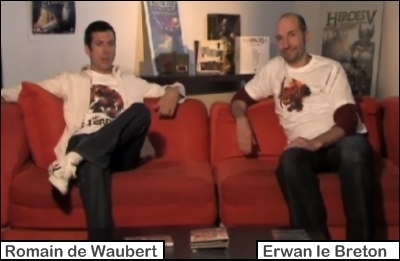 Erwan le Breton: Before working for Ubisoft, I had a short experience as a “web-editor” for Gameloft (not the current “mobile” Gameloft but the original “online” company). I was already working on Fantasy titles, such as EverQuest. Being already a fan with the Might & Magic games, I decided to invest myself 100% on this brand. I became Associate Producer of Dark Messiah, then Producer of Tribes of the East (the second add-on for Heroes of Might & Magic V), and Producer of Might & Magic Clash of Heroes. In parallel, between 2004 and 2008, I also managed the creation of Ashan, the new Might & Magic universe, with a team talented writers and illustrators, whom we called the “World Bible Team”. Romain de Waubert: My first position in the industry was at DICE, where I became Lead Designer of Battlefield 1942. Then I joined Ubisoft to become Producer of Dark Messiah and, more recently, Senior Producer on several games, including Might & Magic Clash of Heroes. Working on the Might & Magic brand is an opportunity I could not refuse, considering I’m one of its long-time fans! PlanetDS.de: Can you tell us more about the gameplay? What does Might and Magic Clash of Heroes offer that other Might and Magic titles didn’t have or where are the main differences? 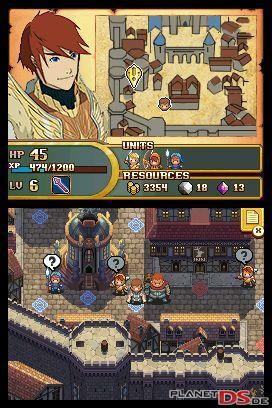 Romain de Waubert: Clash of Heroes takes classic gameplay elements, like RPG, puzzle and strategy, and combines them into an experience that feels both familiar and totally unique. When I enter a battle, I am in the role of a general, with an army of humans, elves, wizards, undead or demons, clearly facing another army on a battlefield. We are far away from lining up bubbles and stars. Don’t get me wrong, I also love bubbles and stars, but we are definitely not abstract in our battle representation. 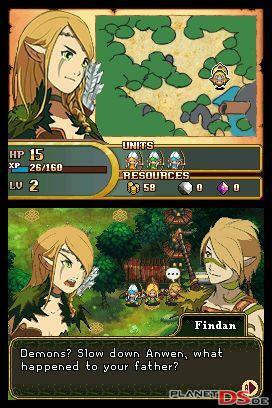 Clash of Heroes also wraps you up in a truly epic adventure with many twists and turns, and this is something that most puzzle games rarely attempt. We feel we’ve created a deep and fresh experience that players of all kinds, whatever their gaming backgrounds and preferences, will not be able to put down. PlanetDS.de: Why did you decide to mix the genres of puzzle and RPG for the DS version of Might and Magic? Romain de Waubert: It simply felt 150% right for this platform (the DS). Also, this blending of puzzle and strategy in the battle mechanics was a key strength of the concept initially developed by Capybara. We all fell in love with it! As for the RPG dimension, we really wanted to make a beautiful world that made you want to believe in it, to live in it. The nodes system, for instance, lets you explore the maps the way you want, in a very easy way. The attention that we have put in the story, the characters, the adventure maps makes you want to win the battles, not just for the pleasure of fighting, but because you are also hooked to the story, always wondering what happens next… like with a “one more page and I switch off the light” novel. In the end we guarantee you will find yourself wanting to play more. We just can’t tell if what will prevail between the pleasure of fighting one more battle or that of discovering what happens to your heroes! PlanetDS.de: How do you want to catch the attention of the fans of the classical Might and Magic gameplay? PlanetDS.de: How far is the game embedded to the Might and Magic universe? What can fans expect? Erwan le Breton: Clash of Heroes is set in Ashan, the same world that was created for Heroes V. So the fans will immediately get their bearings. From such a rich context, it was easy to pick the 5 factions (the Knights of Haven, the Elves of Sylvan, the Wizards of Academy, the Undead of Necropolis, the Demons of Inferno) and the 40 creatures we chose to stage in the game. Finally, we also have a story continuity between Heroes V and Clash of Heroes. I don’t want to reveal everything but I can tell you that the action is set in Ashan, 40 years before Queen Isabel’s war, and you’ll get the chance to rediscover familiar faces from Heroes V, like Godric and Markal, when they were young and eager to embark onto their very fist adventure. You’ll also meet, and even play, characters that were just mentioned as “backstory” NPCs in Heroes V, like the Haven Emperor Alexei for instance, father of the doomed Emperor Nicolai. That said, you don’t need to know anything about Heroes V to understand, and enjoy, the epic plot we created for you in Clash of Heroes! PlanetDS.de: Can you tell us more about your future plans, what can we expect? But as far as Might & Magic videogames are concerned, alas, my lips are sealed! I’ve said enough! My life is at stake! PlanetDS.de: What is your opinion about digital distribution and the Nintendo DSi? What opportunities do you as a developer see and what risks could a fully digital distribution come along with? Romain de Waubert: Digital distribution is something that definitely comes back regularly in our discussions. It conveys several benefits and we think this is where the industry is going. 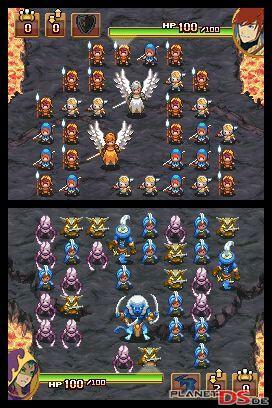 Now, as of today, we have Might & Magic Clash of heroes being released on DS. Having the DSi version of the game is something we, of course, consider. But no final decision has been made so far. 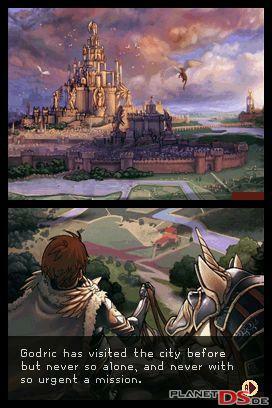 PlanetDS.de: If you had to be an evil creature out of the Might and Magic universe, which one would you be and why? 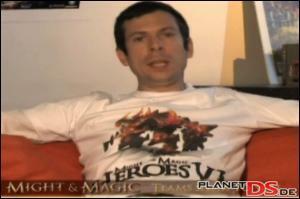 Erwan le Breton: In Ashan, the new world of Might & Magic, we try to steer away from the classic Good vs. Evil Manichaeism that seems to be a cornerstone of most Fantasy worlds, especially in our interactive media. For instance, Necromancers in Ashan are not "rotting cadavers preserved with unholy magic who enjoy killing people and reanimating them as skeletons and zombies" because it's… mmm… fun, or because they were molested as children. They are mystics who reject the world of the living as flawed, transient, and filled with suffering. They prefer to die and be reborn as "Vampires": eternally perfect, unchanging and detached from the passions of the flesh; wise in that they know what "lies beyond" and are not afraid of it. And they use undead as the average wizards use elemental spirits or animated constructs: cheap, efficient, and obedient servants. That's all. They sure are not cheerful, or compassionate, but they are not intrinsically insane or cruel either. The same is true for Demons, Orcs, Dark Elves, etc. They all have complex motives to be who they are and act the way they do. And the opposite is true. Don’t expect the Knights of Haven, Crusaders of the Light, to be always benevolent, open-minded, or forgiving. PlanetDS.de: Is there anything you would like to tell our readers? Romain de Waubert: Thank you for your interest in Clash of Heroes, in Might & Magic universe, and thanks to all those who, among your readers, play and enjoy our games, and help us improve constantly their quality. Erwan le Breton: It was a pleasure to share our passion with you and your readers. As you can see, Might & Magic remains a “labor of love”, for all the fans out there, and for us, who are lucky enough to be able to develop great games in this fantastic universe. Thanks to Erwan le Breton and Romain de Waubert for the kind support.